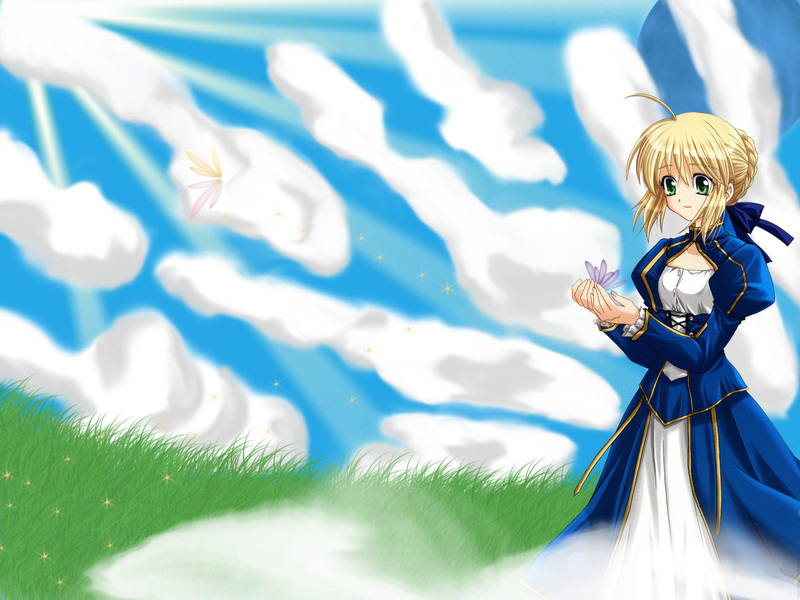 This is the first wallpape I ever submit :) I don't think it came out too bad ^_^' A sort of random background for Saber. Please post any comments, I would like to know what people think about it! I like this wallpaper of Saber its pretty good. Such a sweet and innocent looking wall! Very nice!